A free printable and lesson to help your youngest kids learn that they can serve God — both now and when they are older! Our youngest kids need to learn that they can serve God in the church — both now and when they are older! They need to be encouraged to lead and “take the baton” when they are older . . . and they need to be taught that serving God in the church is a way they show that they love Jesus! This lesson and printable is one way you can help teach your young kids this principle. Feel free to adapt it however you need! For the printable, have the kids draw themselves in the picture and then draw (or write) ways they can serve God both now and when they are older in the appropriate boxes. If you only want the printable, click on the picture below and you will be able to print it off. If you want the whole lesson, scroll down and you can print it off below or use it straight from this site. Thanks a bunch and keep serving Jesus! Mark two lines and have the kids run back and forth between them, being careful to pass the baton to the next person in line when they get back. When you finish the races, say: You did a great job with these races! Whenever you got the baton, you did your job so well! Did you know that you have a job to do for Jesus, too? You can serve Jesus now, and one day, the adults are going to hand you the baton and you will need to take over some of the jobs they do, too! Gather the kids together and have them sit down with you. If you can have them at a table, this would be helpful. Give each kid some playdough. Today, they are going to make playdough sculptures to help you as you tell the story. When each kid has his/her playdough, say: Today you are going to help me tell the story with your playdough! Can you hold the playdough in your hand and keep it still until I tell you what to do? Show me! When the kids are holding the playdough in their hands, say: Good job! Today we are going to talk about a man named Moses. Moses was an old man. He had been a leader of his people for a long time, but now he was getting ready to stop leading the people. He was 120 years old – that’s pretty old! He probably had a long beard. Can you make a long beard out of your playdough? Help the kids make a long beard out of their playdough. They can make the playdough into a ball for a face and then add a beard, or some may want to make the beard and put it on their faces. Have fun with this . . . talk about how Moses was old and ready to have someone else lead the people as you do this. When the kids are done making the beards, say: Okay, now put the playdough back on the table in front of you. Good job! Moses wanted to make sure there was someone good to lead the people after he was gone. The people needed a good leader to take them into the land that God had promised to them. They needed a good leader to help obey God and do the right things. Moses did not want them to be like sheep without a shepherd – what do you think sheep without a shepherd would look like? Use your playdough now to show me what sheep would look like! Help the kids make sheep with their playdough. When the kids get some sheep made, talk about what it would be like if they had no shepherd. Have the kids make their sheep act “crazy” and have them wander around and get in all sorts of trouble. Have fun with this. When you are finished with this part, have the kids put the playdough on the table in front of them and say: Yes, your sheep got pretty wild because there was no one leading them! Moses didn’t want the same thing to happen to the people. He wanted to make sure they had a good person leading them. And God knew just the person for the job! God chose a young man named Joshua to take over. Joshua was going to be the next leader of the people! Moses had done his job . . . it was now time for someone else to take over. He had to “pass the baton” to Joshua. Just like you passed a baton in the races we did earlier – when you were done running, you gave the baton to the next person and it was his turn to run – Moses was done leading, and it was now Joshua’s turn to lead. Can you make a baton with your playdough? Show the kids how to roll the playdough up to make a “baton”. While they are making the batons, talk to them about how there are lots of jobs in the church that they will some day need to do. Ask them what some of the jobs are that they will need to do and discuss this with them. Reinforce the idea that they will need to step up, take the baton, and carry on the work that God has for them to do! When you are finished with the batons, have the kids put the playdough in front of them and say: After Joshua was made the new leader, God told Moses to climb a mountain. From this mountain, he was able to see the new land that the people would live in after Moses died. Can you guys make a mountain with your playdough? Let me see! Help the kids make mountains. After they have their mountains made, have them pretend Moses is climbing it and looking at the promised land. Talk about what Moses may have been thinking as he climbed the mountain. When you are finished with the mountain, have the kids put the playdough in front of them on the table and say: That was the last the people saw of Moses. He had done a good job as leader of the people, but it was time for him to be with God and for Joshua to take over. It was Joshua’s turn to lead. Joshua had served God all his life, and now it was his turn to serve God by leading the people. You can serve God right now, too . . . and some day, it will be YOUR turn to lead! Serving God in the church is one way that you show that you love Jesus! Have the kids make a playdough heart. Talk with them about how serving God in the church shows that they love Jesus. Talk with them about different ways they can serve God in the church and show that they love Jesus – both now and in the future. Then have them hold the playdough in their hands as you pray for each one of them by name. Have them put the playdough away and help you clean up the lesson area. 1. Make your own yummy batons! Use pretzel rods, chocolate and sprinkles to make chocolate covered pretzel batons! You will need to have an adult helper melt chocolate (or chocolate chips) ahead of time and carefully put a little melted chocolate in bowls so each kid can have his own bowl (or plastic bags). Have the kids dip their pretzel rods in the chocolate and then roll it in sprinkles. Set them on wax paper to dry. (Another option is to have chocolate melting in a crock pot and then have the kids dip the pretzels in the crock pot when you are doing this. Talk with them about what it means to “pass on the baton” as you are making and eating this snack. 2. Let each kid make his/her own baton. Give every child a half page of white paper and have him/her draw and write ways that they can serve God – both now and in the future. Then give each kid a toilet paper tube (or paper towel tube) and help him wrap the paper and attach it to the toilet paper/paper towel tube. (You can use glue or packing tape). Talk with the kids about how they need to be ready to take the baton and serve God! Find a service project the kids can do together (examples include: cleaning an area of the church, pulling weeds or picking up sticks outside, raking leaves, washing windows, helping with part of the service – perhaps you could arrange beforehand to have your kids hand out bulletins or serve the offering). Talk to the kids about the importance of being willing to serve God by serving in the church! Choose a few leaders in your church and have them come in and talk about the jobs they do. 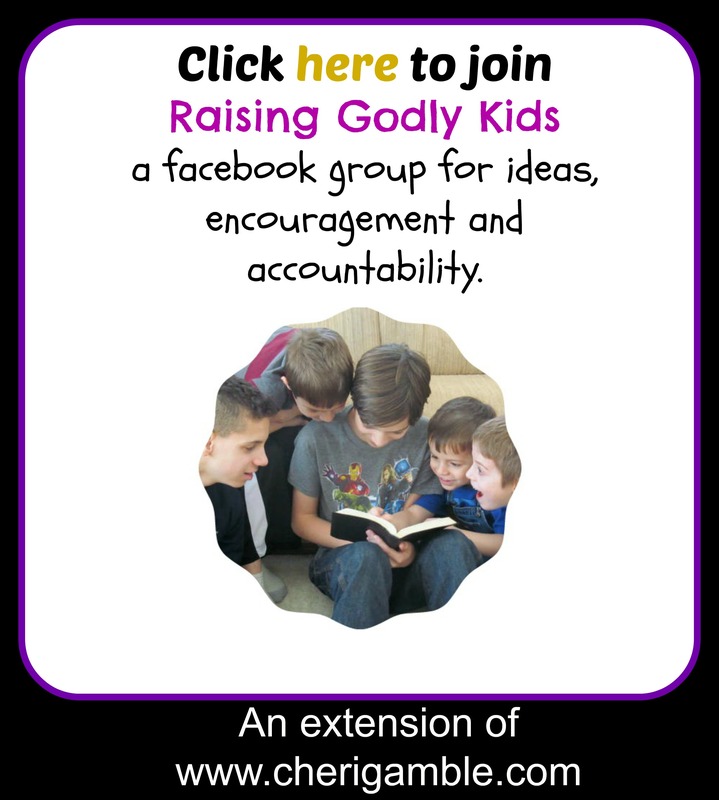 (Examples include: people who clean the church, cook meals, visit shut-ins, take the offering, serve communion, serve on the board, etc) Take pictures of your kids with these leaders, print out the pictures and display them in the room. Spend time in the future praying for the leaders whenever you look at their pictures! Have the kids make cards for some of the leaders in your church. Talk about the important jobs they do and how nice it is to encourage them by sending them a card. Print off the attached picture and have the kids draw themselves in and then draw pictures (or write) of ways they can serve God both now and in the future. Talk with them about the different ways they can serve God and about how this shows that we love Jesus as they work on the project.